Today is day one in the A to Z Blog Tour. Last year I did Monsters, A to Z. This year I am doing Creepy Crawlies, starting with Arachnid's. This is going to be fun. any wingless, carnivorous arthropod of the class Arachnida, including spiders, scorpions, mites ticks, and daddy-longlegs, having a body divided into two parts, the cephalothorax and the abdomen, and having eight appendages and no antennae. Ana parked her car at the bottom of the hill and stared up at the house. The driveway was blocked by a large metal gate and she doubted the resident of the home… such as it was, would willingly open it for her. There were gaps in the fence though, large enough to allow her access to the property and it was her job to serve notice to the occupant. Sighing, and glad that she hadn’t worn heels, she stepped out of the car and made her was to the nearest breach in the failing barricade. “Probably a good thing I wore jeans today, too,” she muttered. The fence was covered with spider webs. Ana wasn’t one to back away from a job though, so she pulled her scarf over her head and ducked between the two slats. 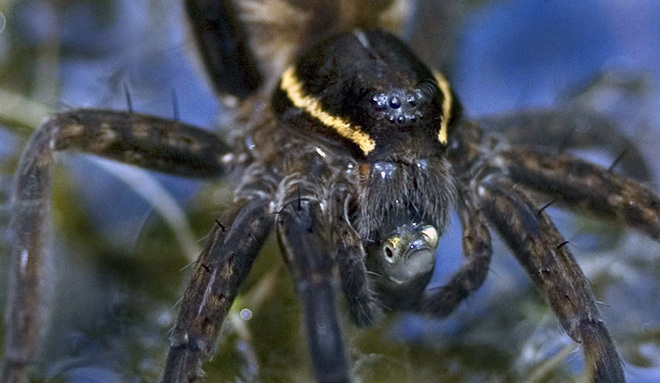 A spider crawled across her arm and she flapped her hand in the air, trying to shake it off. Memories of a basement and hide and seek with her brother came back to her and she shuddered. Why did it have to be spiders? Shaking the creature off, she waded through the yard, glad for the boots. They came up over her ankle and the jeans, which covered the tops and kept the spiders off her skin. There had to be hundreds of them in the yard, judging from the webs strung across the grass, which had grown out of control. She tried not to think about the tiny, spider bodies she was probably crushing with her feet. The porch wasn’t much better and Ana wondered about the owner’s state of mine… or former owner, since the house was now in foreclosure. She opened the folder the bank had supplied her, the name Cora Brentwood stood out in bold black. According to the paperwork she was in her late sixties. She didn’t look forward to serving eviction, but maybe this was for the best, living here couldn’t be healthy. Ana was surprised the place hadn’t been condemned long ago. Spiders skittered out of her way when she stepped onto the sagging porch. 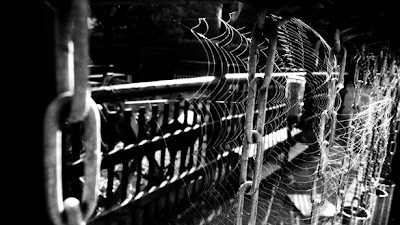 She started to reach for a rail, but changed her mind when her fingers brushed against the sticky webbing. Treading carefully she crossed the porch and knocked gingerly on the door. At first Ana didn’t hear anything but the creaking of the boards under her feet. She worried that the floor would give and she’d tumble to the ground below. Maybe she shouldn’t have come on her own. The sheriff had told her she should wait for him, but he’d seemed… annoyed when she’d told him what she was there for. She knocked again and was just about to tape the notice to the door when she heard a faint voice from inside. Breathing a sigh of relief, Ana put a smile on her face and waited. “Not before I’ve finished my tea. Please, come in and join me.” The woman opened the screen door. Ana hesitated only a moment before stepping inside. “Never judge a book by its cover.” The woman led Ana to a dining room where there was a place setting for two people. “Is someone else here?” Ana looked around but she didn’t see anyone. She sighed and took a sip of her tea. This was always hard and she didn’t have to explain it to the owner, just deliver the notice. In seven days, if the woman was still there, it would be up to the Sheriff to move the woman and her belongings out. “Pardon?” Ana’s eyes felt heavy. “I think maybe I should be going.” She moved to stand but something seemed to be preventing her legs from moving. She looked down and saw that they were encased in spider’s web. Why didn’t she feel the pressure from the silk threading. Pulling against it, she tried to free her legs. Several spiders ran across her lap, covering her with more of the webbing. “No, I didn’t know…” There had to be something in the tea, this had to be an illusion. The old woman’s eyes glistened as she stared at her. They appeared to be multi-faceted, like a spiders. There was a knock at the door. The old woman moved across the room, her feet making strange clicking sounds. Ana heard the door open and then more strange footsteps. Ana tried to turn her head. “Sheriff?” Her voice came out muffled. Spiders were crawling across her face, the sticky webbing was in her mouth. Her tongue was numb. 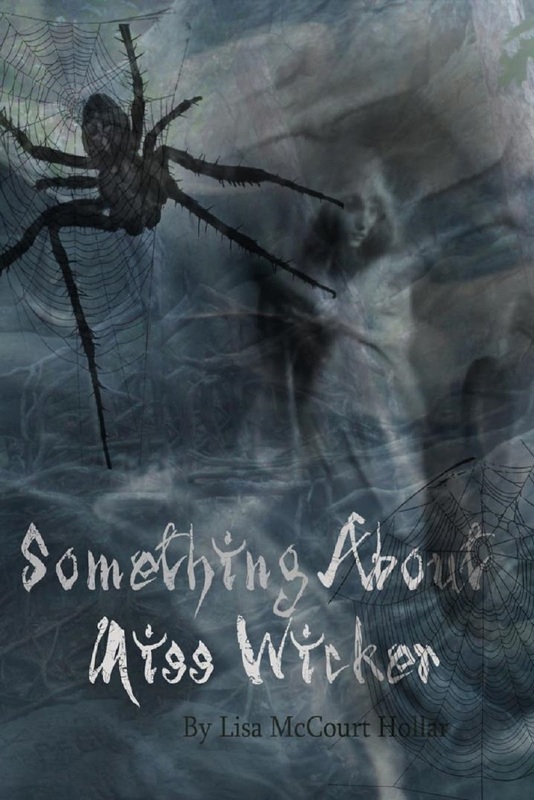 For more spider fun, check out There's Something About Miss Wicker. I so hate those things - but they LOVE me. I endure at least 5 bites a year from those nasties.